Cryonics is the preservation of the brain and the memories contained within it, with the hope of future revival. This includes the personality, emotions, and aspirations of the person, everything that makes them a unique individual. These memories might be recoverable in the distant future with high enough technology. Cryonics is not Suspended Animation. There are two well-known techniques that scientists use to preserve tissue structure: aldehyde fixation and cryopreservation. We use both of these powerful techniques together in order to maximize preservation quality. In a lab setting, good preservation quality has been achieved. 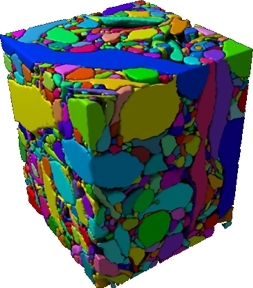 We have Electron Micrographs demonstrating that some information can be preserved. Nevertheless, the specific protocols used on human patients under real-world conditions are poorly validated. One of our primary goals is to validate the human protocols. It would probably be 100 years or more before we could reconstruct the memories in a preserved brain. Reconstruction would require very advanced Future Technology but no new physics. It's a complex engineering problem, but one that we are likely to eventually solve. This is a very brief lay description of how we preserve a brain in an ideal situation. -External cooling is initiated to slow metabolic damage. -Tubes are inserted into the carotid arteries. -Blood is washed out to prevent clotting. -Aldehyde chemicals are pumped in to stabilize molecules. -Cryoprotective Agent (CPA) is pumped in to prevent ice crystals. -CT scan is performed to validate CPA concentration. -Placed in permanent storage in liquid nitrogen at -196 °C. Quality preservation doesn't come easily. Most cases are severly compromised by obstructive laws, vast distances, poor planning, and tight budgets. Our mission is to cultivate cryonics clinicians to improve patient care. 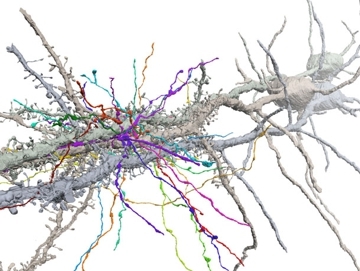 This scan demonstrates the complexity of neurons. Memories are encoded in these structures.